For those not in the know, today is Free Comic Book Day. On this day, comic book retailers nationwide provide customers with a small selection of comic books which can be obtained absolutely free of charge. This year, Mega Man joins the fray with a free special edition of Archie's Mega Man #1. What makes it so special you ask? If it wasn't apparent enough, the issue touts brand new cover art and, according to a solicitation, some "bonus features" and a preview of The New Crusaders. Yeah, it's a reprint of the first issue; but bear in mind this is an excellent venue for the comic to gain more exposure. That's always a plus, right? And c'mon, it's free! You can check out the full selection of comics offered today here. Call your local comic shop ahead of time just in case! UPDATE: This is kinda neat. According to a few readers, some comic shops are giving away leftover copies of FCB comics today, May 6th. If you missed out on your free copy of Mega Man #1, you might want to look into that. I got it! Yeah, I was a little disappointed to find out it was just a reprint of issue #1, but I guess that's what I get for not researching. Nice to have though! just got mine so now I have all 3 versions of the first comic, direct editions! woot! @Kenichi340: What's the bonus content like? Got mine today. Our location had a selection of about 30-40 books and you could take "3-4". And they had a Thor miniature. I got some Avengers comic and one Spiderman one. @RADIX: Sadly there isn't any bonus content. It's just a straight reprint of Issue #1 with no additional content or differences. Wrong, it has a preview of the New Crusaders comic. @hurayman: While it does have something about the New Crusaders, I hardly call a two-page advertisement a "preview." 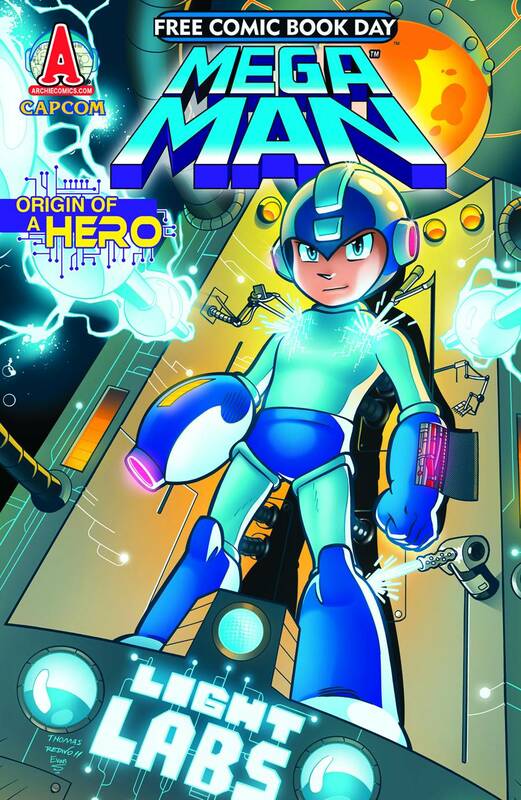 Can I share with you all for this free full comic book Megaman 1 ? What should I do ? Sending it to you or post right here ? Thanks. As long as you have the licensing rights to distribute it. Oh then I guess not, huh ?